August | 2011 | Things That Go [BLEEP]! Upgrade 1 JAM Challenge to Diamond level. Earn 10 total Arena Medals. Upgrade 3 JAM Challenges to Platinum level. Run through the Electric Jungle without hitting any obstacles! Dress up a monster in Seamus’s Fashion Grotto! Collect 110 pieces of fruit from the Tree of Plenty! Help Marco blow out his birthday candles! Throw a birthday party for Marco! Throw trash into Oscar’s trash can! Pull up 50 weeds in Shelby’s garden! Plant a seed and water it to grow a little sprout! This weeks WP7 Release is a turn-based fighting game. For the list of achievements if you want to check them out before you buy it, click here! With Fight Game: Rivals; here is your chance to become the king of kings amongst tournament fighters around the world. Enter different tournaments on distinct locations, earn credits and unlock devastating attacks and skills. Prepare for facing the elite of the world of combat, Semmy Schilt and Alistar Overeem, and become the new champion. This weeks Windows 7 Phone Deal of the Week is Fable: Coin Golf. I personally own this game already and it’s not really that bad of a game. 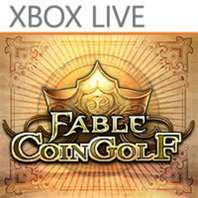 Plus, by playing this game you can link it to your Fable 3 game and import any gold/weapons you have earned through Fable: Coin Golf. At the price of $2.99…this game is a steal! Fable: Coin Golf draws upon the wealth of traditional British pub games like Shove Ha’Penny, Bar Billiards, and Skittles, and combines them with elements from every popular modern puzzle games to create an addictive skill-based game that is entirely in keeping with the Fable pub game universe. Played from an overhead perspective, your quest is to rid the land of evil and conquer each area by getting your Hero Puck into the Pillar of Light in as few shots as possible. Obstacles, hazards, and pickups litter the way, challenging the player to think carefully about the route they take. The player’s aim is to take as few shots as possible, thereby earning large bonuses that affect the area score. Scores can also be increased by performing various feats around the table. Gold earned from these areas can be transferred to your Fable III Xbox 360 or Windows PC games. The player must complete the area with a high enough score to earn a ‘bronze medal’ (the lowest score award) in order to progress to the next area. Areas sometimes contain power-ups which are zones of the table that give the puck certain powers if run over. The powers include ‘Woodsman’s Axe’ which allows the puck to cut down tress and thus progress through forests, ‘Soldier’s Sword’ which allows the puck to kill enemies, and ‘Carpenter’s Hammer’ which lets the puck build bridges to cross rivers. Loosely mimicking the story arc of Fable III, Coin Golf follows a rising Hero who travels the lands and defeats evil, clearing a path to unite Albion under one banner. The three chapters take place in different regions, and the art depicted in the table elements changes to reflect the varied landscapes of Albion. Each chapter comprises of fifteen areas, and competing a chapter unlocks an exclusive weapon in future Fable III Add-on content.